PASIG--Regardless of the result of the eligibility case for Jordan Clarkson, Coach Yeng Guiao decided to line him up to the Gilas Pilipinas lineup for the Asian Games. The rising Cleveland star is part of the "Final 12" for the national team's Asiad roster that will head to Jakarta for the men's basketball tournament. 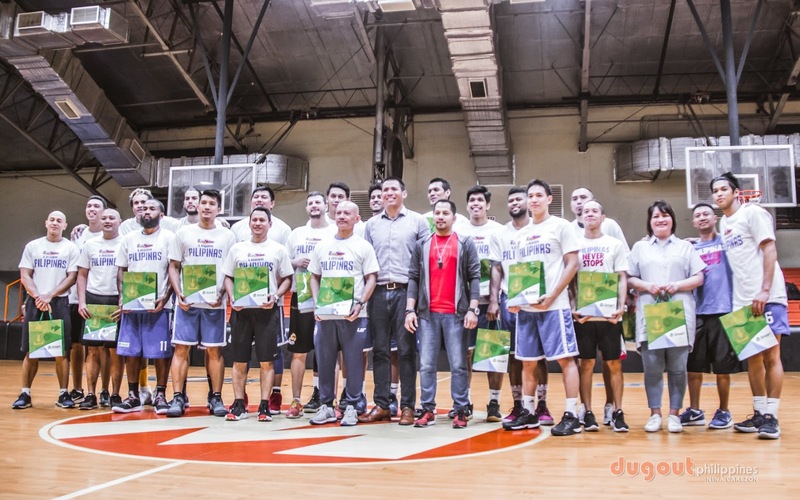 He also announced after practice on Friday night at the Meralco Gym that Poy Erram and Asi Taulava also made the cut. With nine players, namely James Yap, Beau Belga, Chris Tiu, Maverick Ahanmisi, Gabe Norwood, Raymond Almazan, Chris Standhardinger, Stanley Pringle, and Paul Lee, already making the lineup as told by Guiao himself on Monday night, it meant that Don Trollano and Ricci Rivero were the two players that missed the final cut. Guiao revealed that the final roster will play TNT in a tune-up game on Saturday morning at the Moro Lorenzo Sports Center in Quezon City.